Your dentures may take some time to get used to. 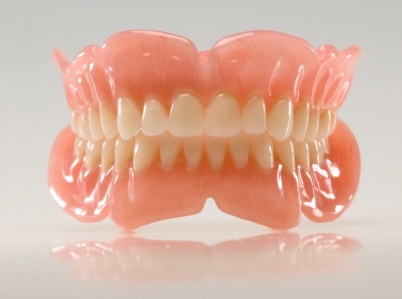 The flesh colored base of the dentures is placed over your gums. Some people say that it feels bulky or that they don't have enough room for their tongue. Other times the dentures might feel loose. These feelings will affect the way you eat and talk for a little while. Over time, your mouth becomes trained to eat and speak with your dentures and they begin to feel more and more like your natural teeth. They may never feel perfectly comfortable, but it is much better than the alternative of not having teeth. In some instances, mini implants can be placed to support and stabilize a lower denture.